I came to the ranch with the goals of challenging myself, gaining new skills and to improve my leadership skills. I applied for the job of kitchen manager and was advised that I would need to fill out some questionnaires and start as an intern. 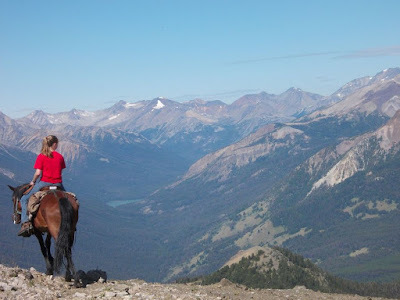 I was hoping to start a paying job straight away when I came to Canada but it made sense to me as I was going to a ranch in a remote setting in a country I’ve never been, applying for a job I’ve never done. Starting as an intern gave me a chance to see if I was prepared for the environment and to see if I was a good fit at the ranch. It also served a higher purpose, there was never a guarantee that I would get the job, I would have to prove that I was up to the challenge. ‘Responsibility is taken, not given’ as Kevan would always say. I guess that was the first thing I learned about leadership at the Ranch, I wanted the job as Kitchen Manager so I had to prove that I could do it by taking responsibility and taking leadership as an intern. It paid off and I was offered the position after the required month internship. So with leadership comes responsibility, at the ranch there are endless procedures to follow which may seem daunting when you first arrive but there are reasons why they are in place. There are systems in place to reduce mistakes and to ensure that anyone who comes to the ranch can do any job they set their sights on doing. As a leader it is important to uphold these systems and set a good example in following them. People follow by example and being a responsible leader ensures good practice. This ensures consistency, allows for greater efficiency and effectiveness, you become more productive and it is easy to delegate as everybody knows what needs to be done and how it should be done. There is always an opportunity to teach as a leader. It is important then to know how to do each aspect of the job before expecting other people to do it, learning the ins and outs from the ground up is extremely effective. When you learn something new, you should pass this knowledge onto two other people and they in turn pass it on. Transferring knowledge ensures that you understand what you have learnt and cements the knowledge in your brain by having to explain it to others.